Contact Virgin Atlantic UK customer services by dialling their helpline phone number 0344 874 7747 to get their latest ticket prices, to book a flight and to check their seasonal timetables. You should also phone this helpline prior to travel to confirm when you can check-in to your flight and to request additional hand luggage if you suspect you will be over the allocated baggage allowance. Moreover if you require technical support when booking a flight using their website or when signing in to their online check-in platform you can call this helpline for troubleshooting advice. If you need to amend your reservation by changing an incorrectly spelled name on your ticket or altering your seat number you can call this customer service helpline for assistance. Moreover you should call their customer service staff for visa requirements and suggested medical injections whilst planning a holiday. Calling Virgin Atlantic from a UK landline or mobile telephone will cost you the same as making an equivalent call to local 01 and 02 area code phone numbers as well as similar national 03 helplines. Thus you can phone them for free if you have a free inclusive minutes package, alternatively you will pay a charge consisting of a per-minute rate and a single access charge which are both determined by your provider. This helpline is available during standard office hours of 9am-5pm on weekdays however outside of these opening times an automated service is available for booking flights and amending existing booking details. Should you need to contact Virgin Atlantic when outside the UK you can dial their international phone number +44 344 874 7747 where you can amend your flight booking and notify them of an emergency which means you will be unable to travel back from abroad on the specified date on your ticket. You can also call them to notify them that you have lost your vitally important documents such as your passport or visa, they will then liaise with the appropriate authorities so you can travel back to the UK safely. Please be aware that calls made from overseas will cost more than standard UK-only connections and that the exact cost will depend on which country you are phoning their customer service desk from. Phone Virgin Atlantic to get accessibility support by calling their dedicated contact number 0344 481 4455 for assistance when boarding or disembarking from an aircraft. You can also call this helpline to get specialised support if you have a fear of flying and to check which airport entrances are most suitable for entering if you use a wheelchair. Alternatively if you have a serious speech or hearing impediment you can type messages to the Virgin Atlantic customer care team by dialling their Minicom contact number 0344 209 0747. You can contact Virgin Atlantic to track your flight status by calling their automated phone number 0344 209 7770 where you can get an update on any delays that have affected your plane. You can also use this service for checking when a loved-one is due to arrive at the airport and to confirm if you will be able to board your connecting flight following departure. Phone the Virgin Atlantic Flying Club on their UK contact number 0344 412 2414 to get exclusive loyalty deals, to book a flight using your accumulated air miles and to add a previous journey to your account. You can also phone this helpline to determine how many loyalty points you need to fly to a particular overseas destination and to upgrade an existing ticket to business-class. You should also dial this helpline to apply for Flying Club membership and to cancel your existing subscription if you no longer plan on flying with the airline. Contact the Virgin Atlantic duty free shop by dialling their customer telephone number 0344 579 0055 to pre-order items at a discount price. You can also dial this helpline to order in-flight meals when travelling on their long-haul flights, thus please dial this number if you need to check if their food contains any allergens. Finally if you purchased an item from duty free as a gift which the recipient returned to you then please call this helpline to get a refund. Phone Virgin Atlantic on their cargo enquiries contact number 0344 209 8300 to open a new regular haulage contract with the airline, to track a delivery and to notify them of missing items. If your cargo is particularly valuable you can call this helpline to check the available insurance products they offer via affiliated partners. Similarly if you are flying specialised cargo such as livestock you can phone this customer care phone number to make the necessary arrangements. Contact the credit card department at Virgin Atlantic for free on their freephone number 0800 056 7686 to add an additional cardholder to your account, to check the level of outstanding debt on your account and for information about their APR interest rates. You should also phone this number once you have paid off your balance to notify them that you wish to cancel your account. Moreover if you are moving house shortly you can call this helpline to update your registered address so you can continue receiving your statements. Most importantly if you suspect that your Virgin Atlantic credit card has been lost or stolen you should phone this helpline immediately so that they can prevent criminals from fraudulently accessing your funds. Alternatively if you wish to apply for a Virgin Atlantic credit card or you wish to perform a balance transfer you can examine the table below for their full list of telephone numbers. Virgin Atlantic allow their passengers to contact them in a number of ways if calling their telephone helplines is not a preferable option, therefore you can get in touch with their customer service team by writing to their postal address, sending them an email or by messaging advisors on their social media pages. You can write to Virgin Atlantic by sending letters to their customer service postal address, however please do not include any sensitive bank details or credit card information when discussing a flight payment as this is not a secure channel of communication. You can contact Virgin Atlantic via email by going to their online help hub, once you are on this webpage you can simply click the topic you wish to speak to Virgin Atlantic about then fill out the appropriate form. 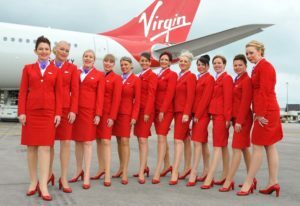 Virgin Atlantic have a range of profiles on some of the most popular social media websites, helping them to extend their outreach amongst technologically-savvy individuals. As well as being a clever marketing technique they also offer these profiles as a way for passengers to send in their customer service enquiries which may be useful if you have a query to make.